In the late 80s or early 90s, during my undergraduate years at Florida State University, a common phrase on t-shirts around campus was "It's a Black thing. You wouldn't understand." Well, the truth is, I didn't understand. I didn't understand why these young men and women who shared a campus with me, shared classrooms with me, shared a mascot, shared a football team (which won all the time in those days), shared a residence hall, shared a cafeteria, shared so much . . . I didn't understand why they wouldn't want me to share an understanding of their "Black thing." Another shirt all over campus showed two fallen black heroes: Martin Luther King, Jr. and Malcolm X. Not having tried to understand the "Black thing" (because I was told not to by the t-shirts) I also failed to understand much about Malcolm and Martin. They were shown together on the shirts, so they were lumped together in my mind. Along came Spike Lee's 1992 film, which I was encouraged by those same t-shirt wearing, campus sharing, "Black thing" understanding friends NOT to see in the theater. "You'll be the minority there, and you might face violence," they predicted, perhaps focusing on the connection between the movie's subject character and the movement he formerly led, The Nation of Islam, which was then (and still) famously led by the racially divisive Louis Farrakhan. I doubted they were correct, but again, why should I go where I wasn't wanted and why should I try to understand what had already been defined as outside my comprehension? It was around that time that my editor at the school's fledgling newspaper, The FSView, sent me to cover a meeting of the local NAACP. Too many years have gone by for me to recall the topics covered at the meeting, but I know I stuck out like a white thumb. Afterward, I sat and talked about my experience with a good friend (soon to be my groomsman) who often found himself the only black thumb in a room. We talked about preconceptions and prejudices, and I shared how the t-shirts and Africa medallions worn by so many men and women I encountered served to sharpen the contrast rather than heal the division created by our differences in skin color. It was during this conversation that I first heard how King differentiated himself from the movement "of bitterness and hatred," as he called Malcolm X's Nation of Islam. It was during this conversation that I first heard King's voice. It was during this conversation that I first understood some small part of the "Black thing." "Letter from Birmingham Jail" is a masterpiece. It speaks to every American of every skin color, and it expresses what a tragedy we all experienced when he was assassinated at the age of 39 (coincidentally my own age as I write this). This letter explains, far better than any other treatise I have encountered, why the civil rights struggle was a struggle for me, for my children, for all of us, for all of our children. America is a better place because of Dr. Martin Luther King, Jr., and I can only dream how much better still if he had been permitted to live his life in full. King would have been eighty-one years old this week. The full text of his "Letter from Birmingham Jail" can be found at http://tinyurl.com/MLKBirmingham. Thank you to CNN.com for giving me something constructive to do while watching my hometown disappear in the rearview mirror. Here is what I wrote: Fleeing Floridian: The second worst thing you can do in Hurricane Matthew. Another piece by Amy Rushlow, Senior Editor at Yahoo Health. I'm glad to be included in this collection. Here's my contribution. Cheers! Jeff Galloway's Blog: How can I run fast in the marathon when my training pace is so slow? Jeff asked me to contribute to his blog to answer one of the most frequently asked questions we get from Galloway Training members. Here's what I wrote. 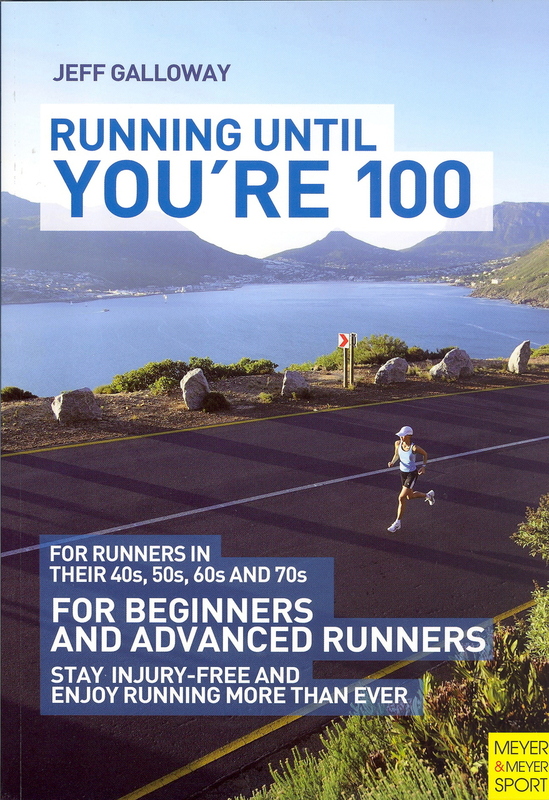 How can a 100-year-old Run a Marathon? BBC News asked me that very question when Fauja Singh finished the Toronto Waterfront Marathon. Here's what I told them. Amy Rushlow, Senior Editor at Yahoo Health, asked 12 experienced marathoners "What do you wish you knew during your first race." Here's what I told her. BuyMenStuff published my Top 5 Running and Jogging Tips on their web site. Check it out HERE. The Hardrock 100 Endurance Run starts this Friday. As usual, I did something stupid in the days leading up to the event, so I am now resting (tapering and typing) and hoping that my sore shoulder (thank you, Billy Simpson, for challenging me on the pool obstacle course) will be 100% by start time.